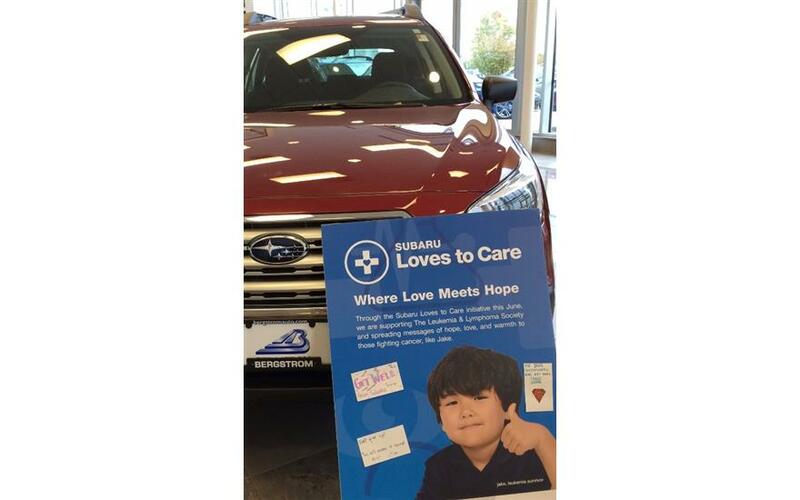 How is Bergstrom Subaru of Oshkosh dedicated locally to the Love Promise? 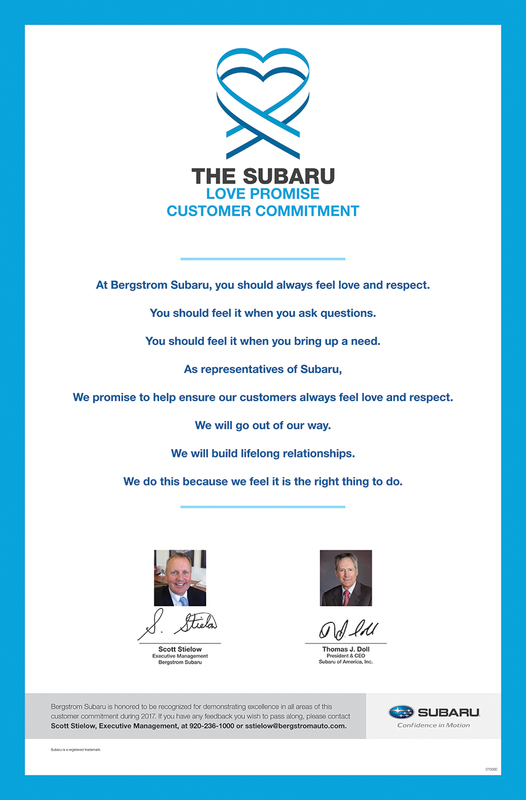 Did Bergstrom Subaru of Oshkosh go above and beyond, provide exceptional service, or support causes that are important to you? We'd love to hear about it. 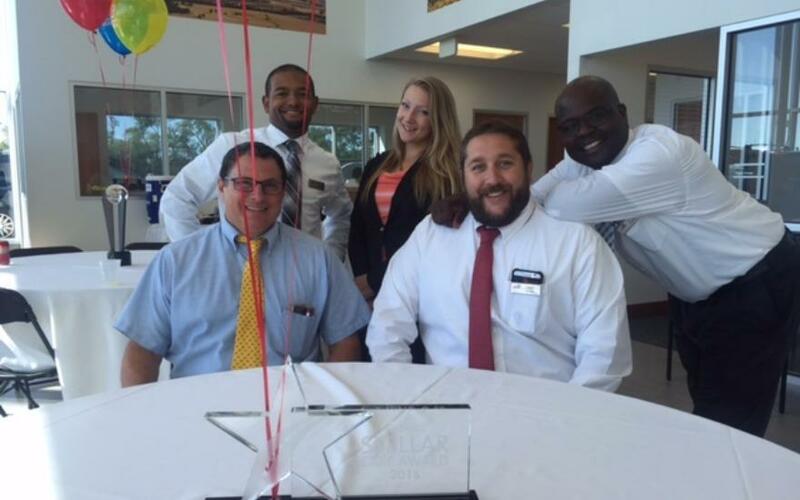 What a wonderful surprise it was for our school to receive such an amazing gift from our local Subaru dealership. We received hundreds of books all geared toward learning more about science. These books are already being shared with our students in the classrooms and are having a positive impact on student learning. Our students and teachers greatly appreciate this wonderful gift. 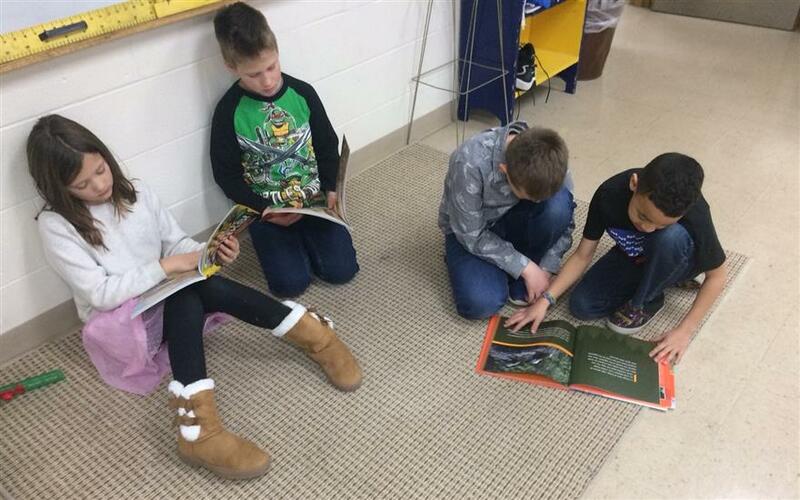 Our students will enjoy these books for years to come. We also received backpacks and student supplies together with all of the books that we were able to pass on to some of our students who truly needed them. Thanks again! 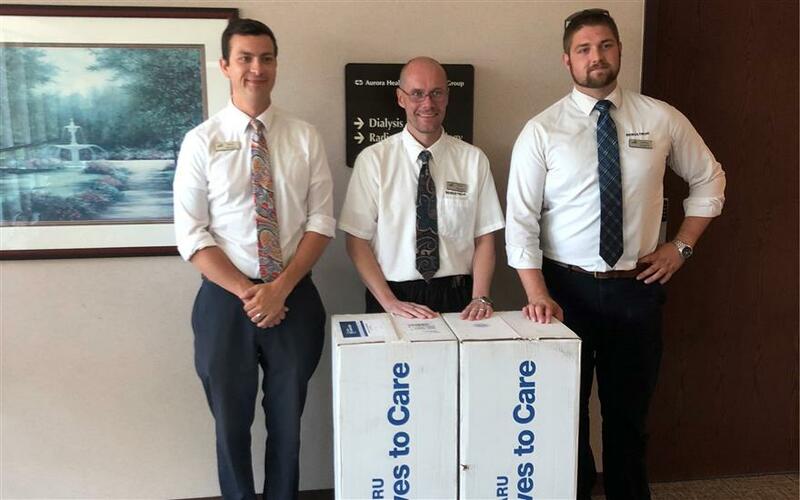 In the middle of a hot and sticky summer, Bergstrom Subaru partnered with the Leukemia and Lymphoma Society to bring relief to patients at Aurora Health Care’s Vince Lombardi Cancer Center in Oshkosh. This is the third year of this amazing partnership. 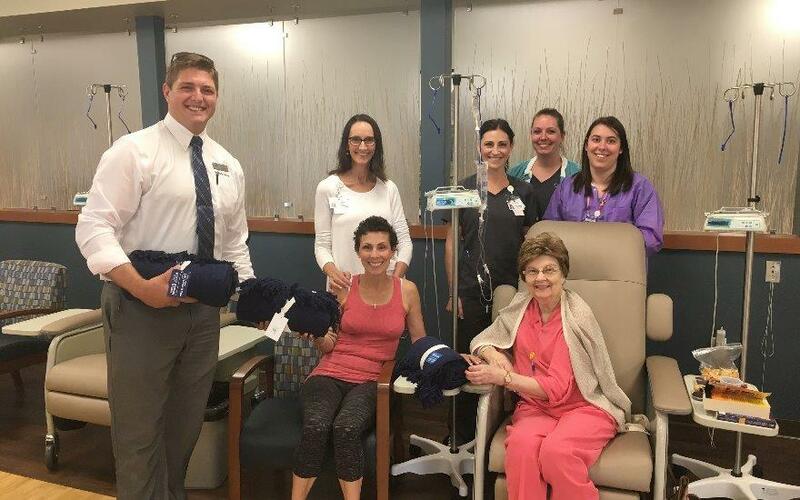 Representatives from the Subaru of Oshkosh handed blankets and words of hope to the staff of the cancer center to be distributed to patients receiving treatment. In spite of the heat and humidity, those receiving treatments are often chilly and in need of comfort. The knowledge that there is such a compassionate partner in their community brings another sense of relief to the patients. We are incredibly lucky to be able to join Bergstrom Subaru in showing those who are facing the gauntlet of cancer treatment that there is a multitude of support behind them. 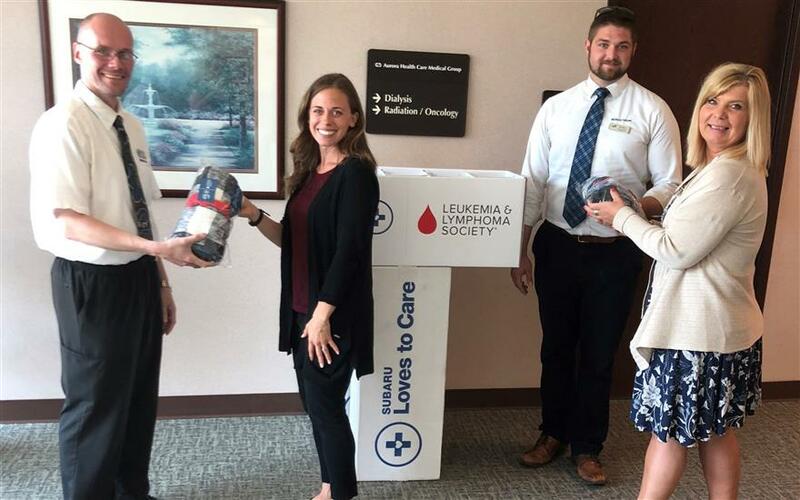 The Leukemia & Lymphoma Society is honored to partner for a second time with Bergstrom Subaru for the month of June to bring hope and warmth to local cancer patient at Fox Valley Hematology & Oncology (FVHO) in Oshkosh, WI. Josh went above and beyond to personally deliver blankets to cancer patients sitting in the infusion room, the morning of the delivery. Karen and Sandy were extremely grateful for the blankets. Cathy, FVHO clinic manager said "Patients are loving the blankets! Thank you for this generous gift." This year the Neenah Animal Shelter was privileged to be selected as the local charity by the Bergstrom Subaru team for the Share the Love Event. Earlier this month we were presented with a check for over $12, 700.00. For a small shelter this was very important in supporting our "LifeFirst" Mission which states that no adoptable animal will be euthanized due to lack of space or funding. As a shelter we take in many older animals and often they come with medical problems as well. 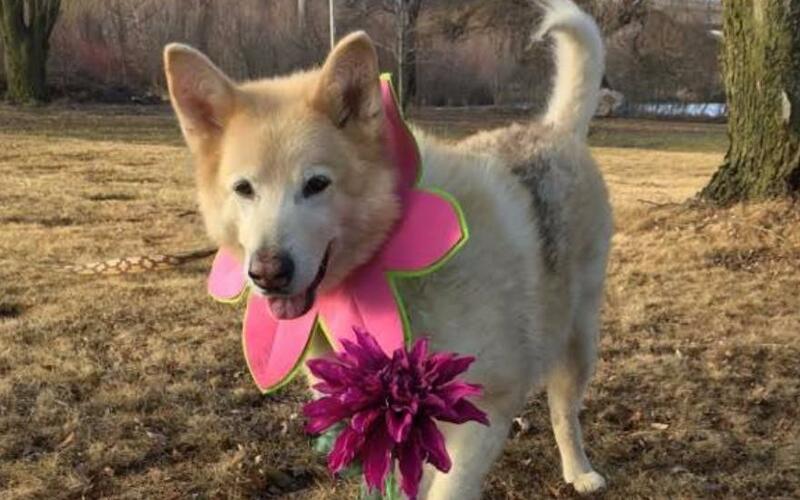 A great example of the work we do is Rayne, a 10 year old Malamute mix. She came to us with severe hair loss and infested with fleas. After the flea problem was treated and the hair loss continued, Rayne went through testing and was diagnosed with Cushings Disease. A treatment plan was put in place to find the correct dosage of medicine to treat her disease. After diligent treatment from a loving staff, Rayne's hair grew back in and she became a favorite with the staff and volunteers,. It took an extended stay at the shelter but Rayne is now in a loving home and enjoying life with human family and cat buddy. 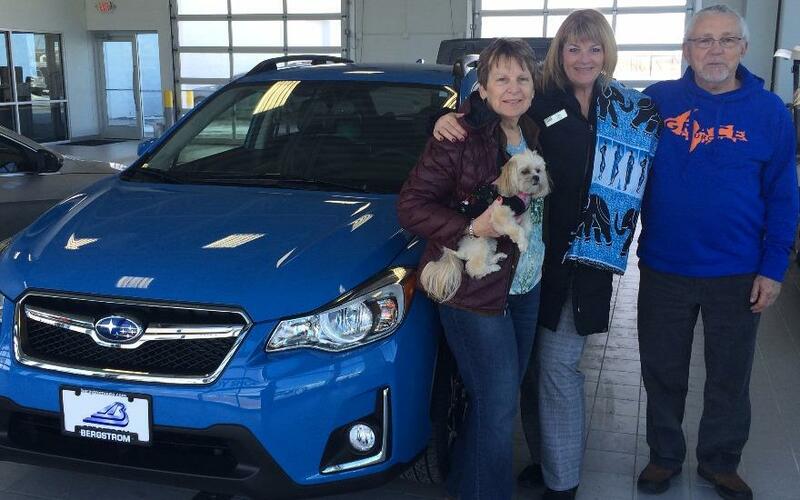 The support from our community, from Bergstrom Subaru of Oshkosh and most of all the generosity of the Subaru Company to fund this program makes a world of difference to our animals and the great families who get to adopt them. Thank you so much for supporting our shelter and our life saving mission. 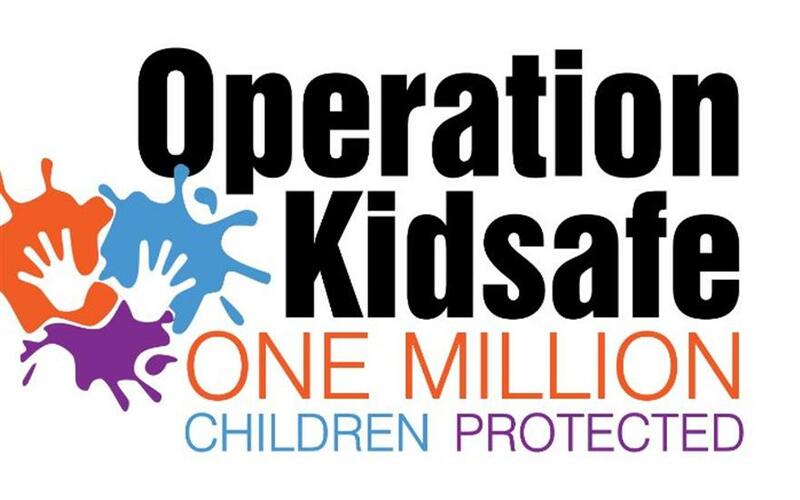 Bergstrom Subaru, Oshkosh Police Department, and Operation Kidsafe came together to help keep kids safe! We had a station set up where kids could be finger printed and put into a national database. 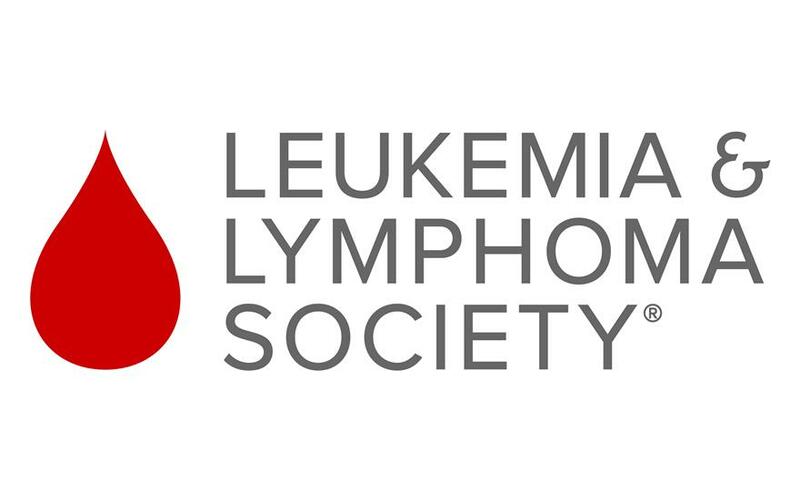 At Bergstrom Subaru of Oshkosh we had an event where our staff teamed up with The Leukemia & Lymphoma Society and Fox Valley Hematology to spread hope and joy to children in the area battling cancer. Over the course of three weeks, our staff and guests filled out messages of hope to be displayed at Fox Valley Hematology in Oshkosh. In addition, we donated 20 boxes of blankets to keep them warm through their treatments while they fight cancer. A guest bought a Subaru Crosstrek from our store in December. He really wanted the Hyper Blue and we were happy to get that for him. The guest went on a mission trip to Kenya prior to picking up his new Crosstrek. While in Kenya he bought a gift for Gail Dix, his sales consultant. The gift was a handmade scarf, or Kanga in the same color as their Crosstrek.